The Israel Defence Force says it has used its F-35I ‘Adir’ fighters in recent combat operations, marking the combat debut for the long-awaited fifth-generation fighter. During a May 22 speech to visiting air chiefs at a conference in Israel, IAF commander Major General Amikam Norkin showed a picture of an F-35I flying over Beirut. “I think we are the first to attack with F-35 in the Middle East,” he said. “I’m not sure about other areas, but as you can see here, we already attacked, and this is the first time that we are talking about this issue. No details about what missions the F-35Is may have taken part in were given, although one Israeli media report suggested they participated in an April 28 attack on Aleppo in Syria. 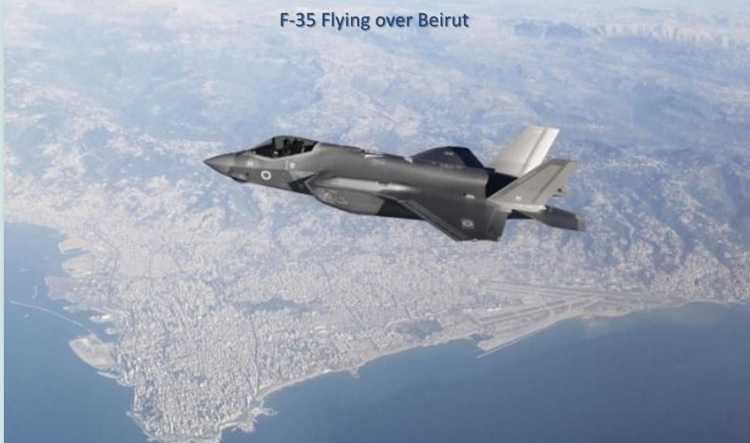 Interestingly, the photo of the F-35I over Beirut shows the aircraft fitted with at least two Luneburg lenses, small radar reflectors fitted to the top and underside of the F-35’s fuselage to make it more visible to radar when operating in controlled airspace. Because of this, some analysts have claimed the IDF image is a fake, while others have suggested the reflectors may have been fitted intentionally so as to not allow the numerous Russian intelligence systems in the region to correctly analyse the F-35’s true radar cross section. Whispering Death was the name given to the Bristol Beaufighter The sleeve valve radials – Bristol Hercules with the flash arrestor over the exhaust outlets were very quiet, my grandfather said the bullets would hit the enemy before they heard them coming, hence the name Whispering Death. Interesting re the radar deflectors……. very tactical, put them on for normal ops, don’t show you true colours to the enemy radar, take them off when you need to hide – very clever. Israel’s 35s are more further advanced I think(could be wrong) are they using blk3F or is it something else. Congrats to Israel for a successful mission. They are the best in the world!!! !